We were excited to see our buddy Tommy Morrissey – @onearmgolfer – again this week at the U.S. Kids Golf World Championship. 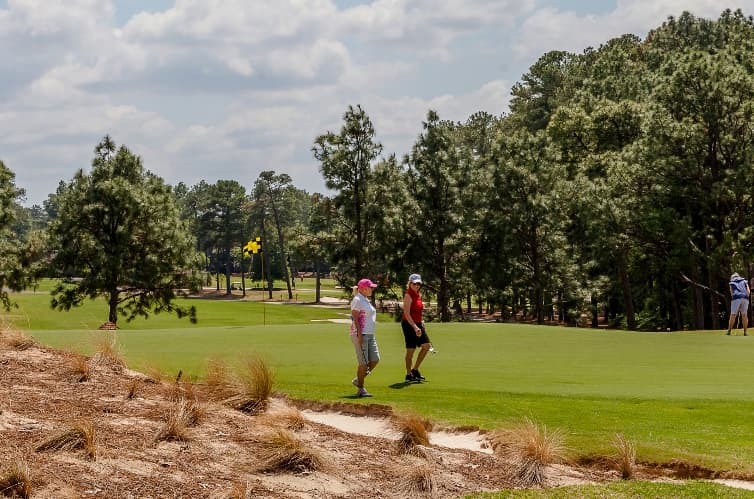 We’ve had some fun with Tommy, now 7 years old, at Pinehurst before, and had a new proposition for him this year – Want to try the famous Payne Stewart pitch and putt at the 18th hole of Pinehurst No. 2? No surprise, Tommy was ready for it, and came to us decked out in a Payne-inspired cap. We walked with Tommy near the spot Payne pitched from and asked him to tell us anything he knew about Payne’s triumph at Pinehurst in the 1999 U.S. Open. Then, he tried the shot.